If Palestinian leaders only knew how extraneous their endless rounds of “unity” talks have become, they might cease their enthusiastic declarations to world media about yet another scheduled meeting or another. At this point, few Palestinians have hope that their “leadership” has their best interests in mind. Factional interests reign supreme and personal agendas continue to define Palestine’s political landscape. Fatah and Hamas are the two major Palestinian political factions. Despite Hamas’s election victory in 2006, Fatah is the chief contender. Both parties continue to play the numbers game, flexing their muscles in frivolous rallies where Palestinian flags are overshadowed with green and yellow banners, symbols of Hamas and Fatah respectively. Historically there has been a leadership deficit in Palestine and it is not because Palestinians are incapable of producing upright men and women capable of guiding the decades-long resistance towards astounding victory against military occupation and apartheid. It is because for a Palestinian leadership to be acknowledged as such by regional and international players, it has to excel in the art of “compromise”. These carefully molded leaders often cater to the interests of their Arab and Western benefactors, at the expense of their own people. Not one single popular faction has resolutely escaped this seeming generalization. This reality has permeated Palestinian politics for decades. However, in the last two decades the distance between the Palestinian leadership and the people has grown by a once unimaginable distance, where the Palestinian has become a jailor and a peddling politician or a security coordinator working hand in hand with Israel. The perks of the Oslo culture have sprouted over the years creating the Palestinian elite, whose interest and that of the Israeli occupation overlap beyond recognition of where the first starts and the other ends. While Hamas remained largely immune from the Oslo disease — while Mahmoud Abbas and his men enjoyed its numerous political and economic perks — it too is becoming enthralled by the prospects of regional acceptance and international validation. Its strictly factional agenda and closeness to some corrupt Arab countries raise more than question marks, and there is the prospect of heading in the same direction as Fatah leaders did over two decades ago. The unity charade continues. After a period of ambiguity, Hamas chief Khaled Meshaal and Palestinian Authority leader Mahmoud Abbas reportedly held meetings in Cairo to “expedite” the dead reconciliation. Considering that adjournment of any real progress has in fact been the status quo between the two main factions, the word “expedite” is likely to mean and change very little on the ground. But if one is to judge by rhetoric and rival claims, the chasm continues to grow, despite the supposedly sober facts that Hamas allowed Fatah to celebrate the anniversary of its birth in Gaza, while the latter did the same in the West Bank. Supporters of both parties brazenly used their parades — which took place under the watchful eyes of Israeli drones — to exhibit their strengths. This was not in relations to the Israeli military occupation, but to their own pitiful factional propaganda. Oddly enough, if the calculations of Palestinian factions are accurate regarding the attendees of their rallies, the population of Gaza may have suddenly morphed to exceed four million, a remarkable jump from the 1.6 million of few weeks ago — the actual number of the Gaza population per United Nations statistics. This miserable legacy of Palestinian factionalism is taking place against the backdrop of a slowly brewing movement in Israeli jails. Palestinian political prisoners continue to place their faith in their own ability to endure hunger, gaining international solidarity with their cause. Samer Issawi, a Palestinian prisoner who as of 10 January completed 168 days of a hunger strike in protest at his unlawful detention by Israel, is hardly a unique phenomenon. He is an expression of the very much present, but snubbed Palestinian collective, whose fate doesn’t fall into the political agenda of any faction. In fact, the Issawi family and the entire neighborhood of Issawiya in East Jerusalem is now a target for the Israeli army and police. The hope is to break the will of a single man that presently is incapable of standing on his own feet. 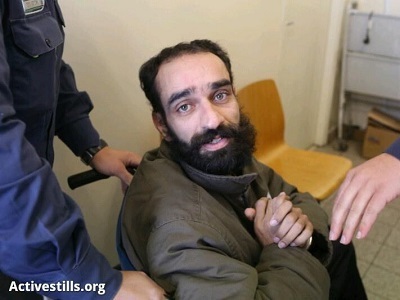 Maybe it is legendary, but Samer Issawi’s will of steel is not an alien notion for Palestinians. According to the Prisoner Support and Human Rights Association, Adameer, over 650,000 Palestinians have been detained by the Israeli military and police since its occupation of East Jerusalem, the West Bank and Gaza in 1967. “Considering the fact that the majority of those detained are male, the number of Palestinians detained forms approximately 40 per cent of the total male Palestinian population in the occupied Palestinian territories.” Yet, Palestinian resistance is yet to be quelled. Moreover, “it is estimated that around 10,000 Palestinian women have been arrested by Israel since 1967. 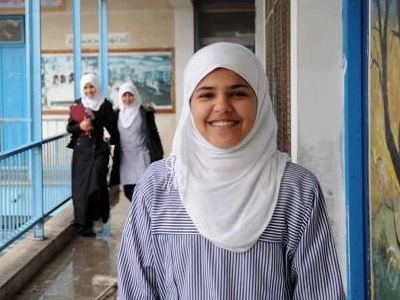 They include young girls and the elderly; some… were the mothers of male long-term prisoners,” wrote Nabil Sahli in the Middle East Monitor, who also called for the internationalization of the prisoners issue. In a special session on 6 January held to discuss the plight of Palestinian and Arab prisoners in Israeli jails, the Arab League echoed similar demands. In a statement, it called for the treatment of detainees as “prisoners of war” and called for active international efforts to secure their release. However, serious efforts are seriously lacking despite the repeated cries for attention by Palestinian prisoners. On 17 April 2012, at least 1,200 prisoners participated in a hunger strike to alert the world to their plight and maltreatment in Israeli jails. Despite the fact that the collective strike ended 14 May, Palestinian prisoners continue to stage hunger strikes of their own, breaking records of steadfastness unprecedented not just in Palestine, but the world over. While calls for a change of tactics are warranted, if not urgent, there is another pressing change that must also be realized. There ought to be a change of Palestinian political culture away from repellent factional manipulation and coupled with a simultaneous return to the basic values of the Palestinian struggle. It is the likes of Issawi and not Abbas that must define the new era of Palestinian resistance. An Intifada has already been joined by thousands of Palestinian prisoners some of whom are shackled to their hospital beds. It offers little perks aside from a chance at dignity and a leap of faith towards freedom. This is the dichotomy with which Palestinians must now wrangle. The path they will finally seek will define this generation and demarcate the nature of the Palestinian struggle for generations to follow.